Is it only saving the soul can save us or saving something else can also save us? This question came up the other to my mind while talking about the Swachh Bharat campaign started by our Prime Minister Narendra Modi. This does not mean only maintaining cleanliness rather it means everything neat and clean. SOS – Save our Souls, is still recognized as a visual distress signal. The SOS distress signal is a continuous sequence of three dots three dashes and three dots, with no spaces between the letters – notated by the over the bar. In international Morse Code, three dots from the letter S and three dashes make the letter O, so “SOS” became a way to remember the order of the dots and dashes. 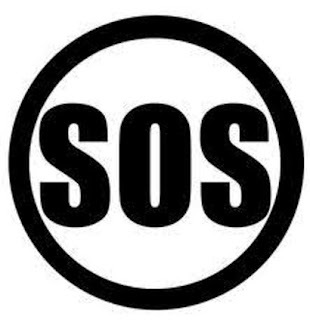 In modern terminology, SOS is a ‘procedural signal’ or ‘prosign’ and the formal way to write it is with a bar above the letters: SOS. In popular usage, SOS became associated with such phrases as ‘Save our Souls’. S is three dots. O is three dashes. Thus letters sequence SOS is dot dot dot then dash dash dash, then dot dot dot. For an SOS signal, it is common not to include the letter spacing. 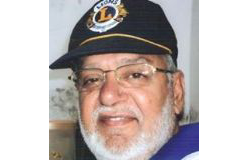 That makes a very distinctive recognizable sound to radio operators and senders alike that is quick to repeat and not commonly found in transmissions. Thus in radio signals can be picked up in bad radio conditions like far away and even static. Later, people tried to rationalize and explain it as to what the letters meant; some said SAVE OUR SOULS or SAVE OUR SHIP. But it was really because of the Morse code. But I took it otherwise that in our present day life, it is more necessary to ‘Save our Stuff’ also. As to how we can save our soul when we don’t have the intention to save our stuff. In daily routine life, we see the spurious material available in the market – it may be vegetable, pulses, eatable material and even medicines. Do we think that such stuff available in the market will save us our soul for a long time? Sometimes I think as to how they do the marketing of such material by killing their inner soul and putting the lives of people at risk. More so we the Indians don’t have the intentions to dispose of the used material in a proper way, separately the dry and liquid which makes a mess at the dumping sites and cannot be converted into manure purposes. Education and Health are two sectors which need to be taken care of to have a healthy life, society and the environment around us. It is not understood as to why the cheap quality material is allowed in the market. Why is every product not as per the ISI specifications? Frankly speaking, it is better to eat less than to have more of substandard quality stuff at cheaper rates. If SOS can be used to give a signal in the event of emergency to ‘Save our Souls’, there is definitely call for time to give a message to the society to form a healthy environment by taking of the stuff of the production in each sector to say that SOS also stands for Save our Stuff.